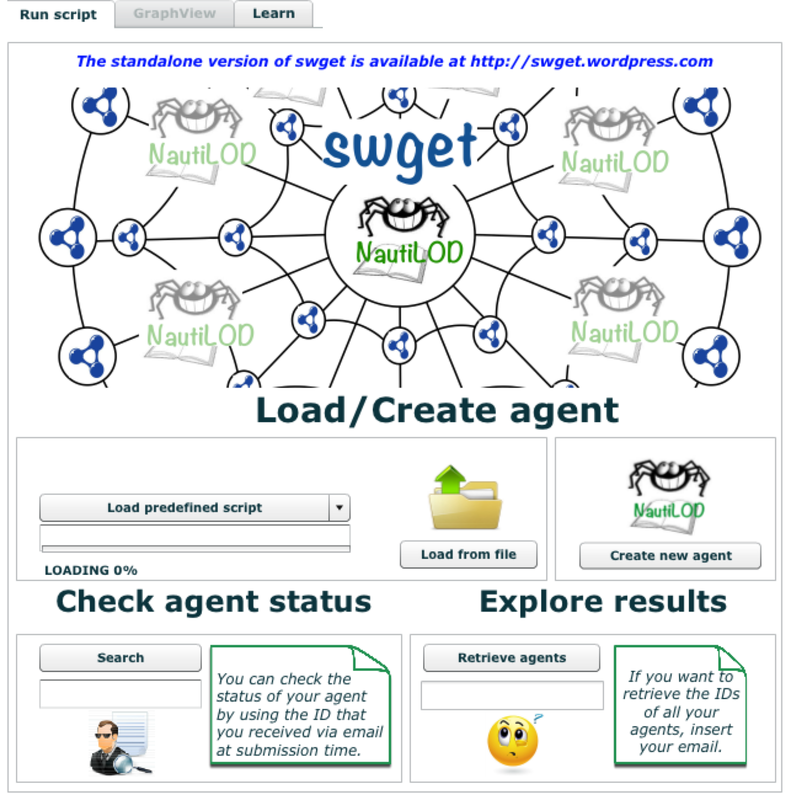 The swget Web portal, where it is possible to launch swget agents instructed with the NautiLOD language is available at http://swget.inf.unibz.it The application is implemented by using Flex. Instructions about how to use the portal are provided in the Learn tab. We are also adding a video that shows how to use the portal. In the Web site there are some predefined scripts that can be used. For these scripts results have also already been computed. Recall that you can modify these existing scripts and relaunch them. In the following we report two screenshots of the portal. 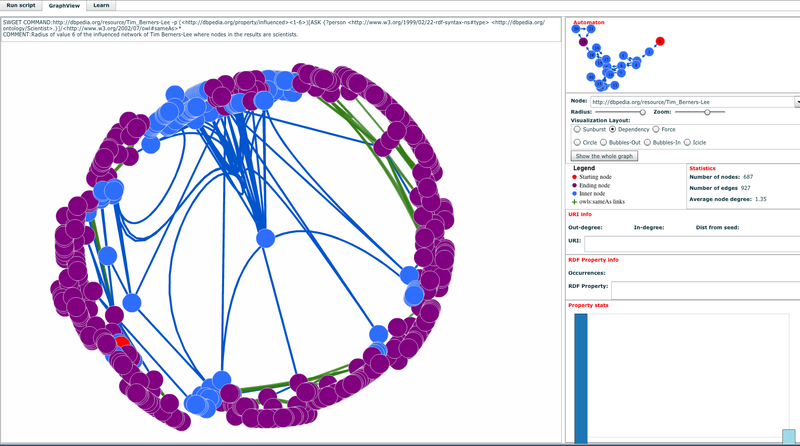 When results are available you can explore them via the Graph view.